TOP 1: Logitech G502 Spectrum (Grimmz, Anthonykongplan, Shroud). TOP 2: Corsair M65 PRO RGB (LyndonFPS, Sacriel). TOP 3: Razer Deathadder Elite (Ninja, JackFrags). Today we will present you the top 3 of the most used mouse by professional FPS online players (including PUBG). If you are looking for a gaming mouse, be aware that buying one of these three mouses will be in 100% of the cases a successful purchase. How do you use your mouse: There are so far three ways to hold a mouse, for three different ergonomics: palm grip, claw grip and fingertip grip. To know how to hold your mouse, look at the image below and analyze what part of your hand touches your mouse. For example, the fingertip will tend to use its fingers mainly without laying the palm of the hand. ATTENTION: We talk about how you use your mouse in the game. Generally, when you use your computer to do office automation, you tend to be in palm grip. DPI: Represents the movement of cursor according to the movement of the mouse. For X centimeters the cursor moves from X pixels on the screen. Thus, the higher your DPI, faster your movements are. Honestly, very few professional players exceed the 2000 DPI. Polling rate: Represents the rate of transferring your mouse’s information to your computer. The higher it is, the more you send the information regularly and the more accurate your movements are. Sensor: There are two types of sensors (optical or laser). It is obvious that an optical sensor should be preferred. What for? Because the laser sensor is a beam of light. So it is much more accurate but it tends to lose information as a result of fast movements (running on FPS games). And you don’t want that. Logitech G502 is a high-end gaming mouse. 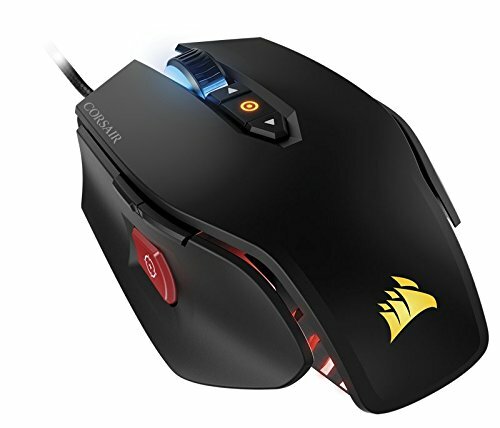 This is also the mouse used by professional players such as grimmz, Anthonykongplan or even Shroud. It is first of all well designed, with sturdy buttons and a design that is both stylish and ergonomic. The grip is actually very good, and the many commands will fit your style of play. DPI: From 200 to 12000 for a maximum acceleration of 40 G (760 cm/second). Suitable for: Fingertip is great, claw is ok, palm is pretty bad. Buttons: Its 11 programmable buttons will allow you to adapt your mouse to your game style. For example, you can easily use a “snipe” button that will lower the DPI as long as it is held down (history of being more accurate). Adjustable weight: It is possible to give weight to your mouse via the five weights delivered in a small plastic case: each weight weighs 3.6 grams and allows to make your mouse more or less heavy. The weight of this G502 can thus go from 121 grams to 139 grams. Difference with the Logitech G502 Core: You can change the colors of the Spectrum (this is the only difference). In fact, Logitech no longer produces its Core model. 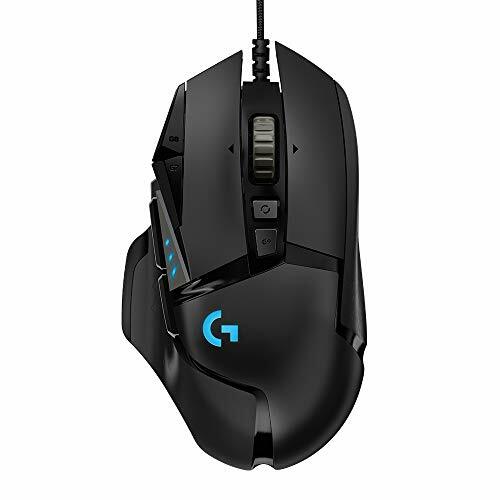 To be honest, Corsair M65 PRO looks very much like the Logitech G502. It is a very good mouse with a sensor that is slightly less good than that of the Logitech G502. It also has fewer buttons. These two elements make us put it in top 2. Nevertheless, it will be preferred if you use your mouse in palm or claw grip. DPI: Up to 12 000 dpi. Sensor: Pixart PMW3360 (vs PMW3366 for the Logitech G502). Weight: 115 to 135, 5 g.
Difference with the Corsair version M65 not original: Be careful, you absolutely do not have to buy the simple version that has a laser sensor. Razer Deathadder is the 3rd mouse that we present to you today (and one of the most used by the players of PUBG but also other FPS). It is experienced to possess one of the most accurate sensors of the market and is rather oriented for the players palm grip. DPI: Up to 16000 dpi. Sensor: Optical-PMW3389 (best sensor on the market). Suitable for: Palm and Claw. If you are already a holder of a Chroma DeathAdder and this one suits you, useless to our liking to move to this superior model. The novelties, although concrete and effective, are finally small enough to put the hand in the pocket again. For others, who are looking for a simple and easy to take in hand to play the best ways to PUBG, hard to deny that this Elite model is a success.